Preventing Illegal Grow Operations in Rental Properties - ABEX Affiliated Brokers Exchange Inc. Regardless of the legal status of recreational marijuana in your area, unauthorized grow operations are illegal and can be a huge problem for landlords. Rental properties are a common target for growers, as they are private facilities criminals can use without having to worry about damaging their own property. Grow operations breed criminal activity and can ruin the reputation of a neighbourhood and a property rental business. To protect themselves, property owners should understand the dangers of grow operations and know how to determine if one of their properties is being used to illegally grow marijuana. Electrocutions and fires—Most homes aren’t designed to handle the amount of power required for a grow operation. To remedy this, criminals often connect to a main power feed in a neighbourhood in what is called electricity bypassing. This process not only charges the ground and creates electrocution hazards for passersby, but it also overloads electrical systems. This can cause power failures in the area, high utility bills and fires, which, in turn, could damage nearby homes and cause extensive damage. Health hazards—In order to properly grow marijuana, criminals often have to modify heating and ventilation systems inside a property. Because grow operations require the use of chemicals, dangerous fumes and gases can build up in a home or be ventilated outside, harming neighbours. In addition, poor ventilation creates mould and fungus that could harm the health of future renters. Violence and bodily injury—Because grow operations are run by criminals, weapons are often kept on the premises. Growers can use these weapons to protect their investment. Grow operations increase the risk of injury and violence in an area, even leading to residual crime. Property values—Growers are typically unconcerned about the appearance of the property they are renting. In many cases, these individuals will modify a premise to fit their needs, regardless of whether it is damaging a residence. This can make a property look unsightly, which can make it more difficult to rent in the future or even drive down the value of a neighbourhood. In many cases, damage caused by the illegal activity of your tenants will not be covered by an insurance policy. If you are unaware of a grow operation, you could be left with an unappealing and unsafe property. 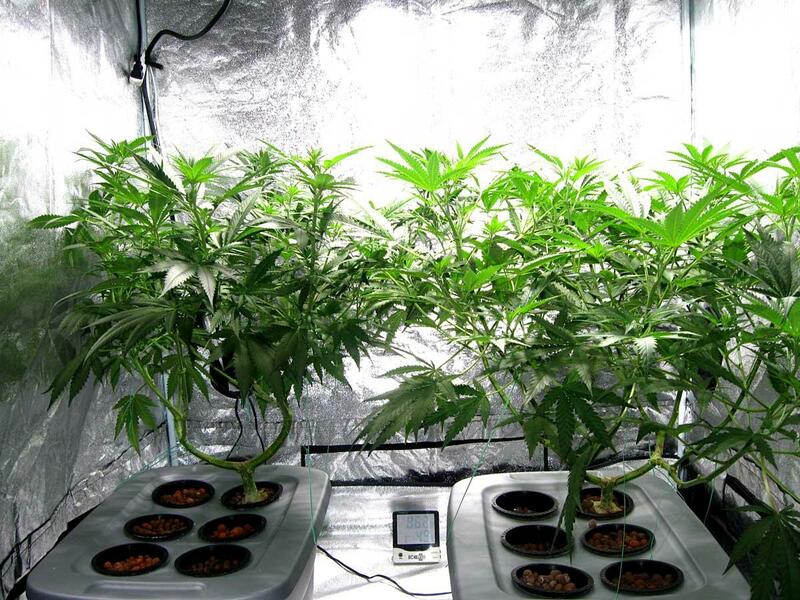 The earlier you discover one of your rental properties is being used as a grow operation, the better. Knowing how to spot whether or not criminal activity is occurring on your premises can mean the difference between minor damages or a condemned property. The windows of the property are constantly blacked out or barred. Brown stains can be found around the property’s soffit and siding. You may also notice that the property’s roof is free of snow all winter long. There is a large amount of condensation on the windows on a consistent basis. The home is barely furnished and mould can be found in the corners of walls and ceilings. Electrical meters appear to have been tampered with. Furnaces, hot water tanks and other appliances have been removed, and the property is muggy and humid on the inside. Your tenants pay rent in cash and are reluctant to allow you stop by the property. In addition, visitors to the residence act suspiciously and only stay for brief periods of time. The area around the property has an unpleasant smell. Growing operations often give off skunk-like odours. “Beware of dog” or “guard dog on duty” signs are prevalent around the property. These can be used by criminals to deter trespassing and to protect against thieves. The neighbourhood experiences localized power surges often and unexpectedly. While these signs don’t necessarily confirm that a property is being used as a grow operation, they are good indicators. If you suspect your property is being used for criminal activities, avoid confronting tenants directly and contact your local authorities. While knowing how to identify grow operations is important, it’s best to try to prevent criminal activity from developing in the first place. This can typically be accomplished during the initial rental process. Refuse to deal only in cash and perform a credit check on all potential tenants. If possible, conduct a background check as well. Require at least three references from other landlords. Be sure to follow-up with these individuals to ensure there were no previous issues. Tell all prospective tenants that you have a right to perform regular inspections of the premises. Maintain an open line of communication with all of your tenants to show that you are invested in your property. Make plans to be at the property during the initial move in. That way you can ensure that your property is not a front and is actually being used for housing. Properties that have been used for grow operations require remediation, which can be a long and expensive process. Depending on the size of the property, remediation costs can be as high as $150,000 and a complete gut of the residence is often required. To protect yourself, you will want to take steps to prevent grow operations from impacting your bottom line. In addition, consider speaking with your broker to learn about your coverage options and what exposures you may have. This entry was posted in Business and tagged grow operations. Bookmark the permalink.